"Use an Open Market Option to increase employee pensions"
For a money purchase scheme the employer can help employees use an open market option to search the whole market for the highest annuities at retirement. Some employees may be smokers, suffer from diabetes or have more serious health issues and could receive much higher incomes for life. As a human resource manager, financial director or pension trustee you must provide the employees of the company money purchase scheme with an annuity on retirement. Our free annuity search service is designed to find the most competitive provider for each employee whether they qualify for a standard, enhanced or impaired health annuity. The money purchase scheme provider's annuity rate can usually be improved by up to 25% exercising an Open Market Option and transferring to another provider, yet of the 327,191 people retiring in the UK in 2002 over 2/3rds still did not shop around to find the best annuity. In particular, if your employee is a smoker, has diabetes the annuity rates can be enhanced by more than 30% compared to the provider's annuity rate. Where the employee has a serious medical condition that reduces their life expectancy the annuity rate can be improved significantly. Rather than conduct your own research, our fee annuity search exercise will present the rates from all the leading providers offering pension annuities for your retiring employee based on their circumstances and showing the financial strength of each provider. We will then manage the administration between providers and ensure that the annuity is established on the basis required by your employee. This process reduces the cost to the employer and adds a valuable benefit for the company's employees. The following pension annuity tables for male and female employees shows the best and worst open market option income for a compulsory purchase annuity given different ages, from a pension fund of £100,000, after the tax free lump sum has been taken. 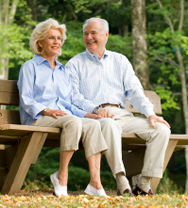 The annuity is paid in arrears, single life, level basis and no guaranteed period. Annuity table - the annuity rate shown above is based on a purchase price of £100,000 and should be used as a guide only. 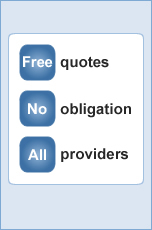 For annuities specific to your employees circumstances, please complete the free annuity quote. The rates clearly show there is a considerable difference between the highest and lowest rates on offer. For males aged 60 the difference is 19% and age 65 it is 18%. For females aged 60 the difference is 23% and aged 65 it is 19%. Given their life expectancy due to mortality the best annuity would provide extra gross income for a male aged 60 of approximately £27,000 and for a 65 year old male an extra gross income of £23,700 during his lifetime. For a female aged 60 the best annuity would provide extra gross income of £34,600 and for a 65 year old extra gross income during her lifetime of £26,700. This represents the extra added benefit a company can offer their employees by using an annuity search exercise to view the market for the highest paying annuities. Your company employees can add extra features to a pension annuity depending on their requirements. The following table shows the costs associated with a number of main features, assuming that the employee and spouse are 65 years old, the income is on a level annuity basis paid monthly in arrears, no guaranteed period included and is without proportion. The cost of the added features will reduce £1,000 of pension income per year by the stated amounts. For example, the cost to a female employee of adding a guaranteed period of 5 years will be £6, reducing her income from £1,000 per year to £994. For a male employee the cost would be £8, reducing his income from £1,000 per year to £992. This difference is due to the fact that male life expectancy or mortality is shorter than for a female and therefore represents a higher risk for claiming. Also, for a female employee the cost of a 50% survivors pension is £77, reducing her income to £923 per year whereas for a male employee this is £140, reducing his income to £860. The difference is due to the fact that it is more likely a female will outlive her spouse and therefore the risk to the insurance company is higher where the annuitant is the male. All your employees retiring with appropriate pension rights can commute part of the pension fund to a tax free lump sum before buying an annuity. The compulsory purchase annuity (or pension annuities) acquired by a pension fund is taxable as earned income although the annuity will not be subject to national insurance contributions. This means that for those employees that are a basic rate taxpayer the tax paid on the income from pension annuities is at 20% for the tax year 2009/10 and higher rate tax of 40% would be payable for any amount above the higher rate tax threshold of £37,400 for tax year 2009/10 in excess of any personal allowances. Any tax free lump sum not commuted will provide an extra income but will be taxable. It is also possible to acquire a purchased life annuity with the tax free lump sum post retirement where part of the annuity is treated as a return of capital and therefore tax free and the balance is taxed at the 20% savings income rate. For example, the following table shows the income a tax free lump sum from a pension fund can purchase on a gross and net of tax basis. It compares using the tax free cash of £100,000 to purchase extra income from either a compulsory purchase annuity or a purchased life annuity. It assumes that the employees are basic rate taxpayers, aged 65 and the annuity is level, no guarantee, without proportion payable in arrears and both providing 50% dependents benefits. In all cases the income from a purchased life annuity net of basic rate tax is greater than from a compulsory purchase annuity. For example, a couple aged 65 will receive a disposable income of £6,050 per year from a purchased life annuity compared to only £5,606 per year from the pension annuity. This means the purchased life annuity provides an extra income of £444 per year. If the couple were paying higher rate tax the difference would be even greater. The net income after 40% tax from a pension annuity would reduce from £7,010 to £4,205 per year, compared to a purchased life annuity that reduces from £6330 to £5,770 per year and means the purchased life annuity provides an extra income of £1,565 per year. By transferring a pension fund your employees may be concerned with the financial strength of the new provider. There are a number of ways of determining the financial strength of providers. The simplest is the rates these providers are given by independent credit rating agencies such as Standard & Poor's and Moody's. This rating is a measure of the capacity of the provider to meet policyholder obligations under a variety of economic and underwriting conditions. S & P: Standard & Poor's credit rating. In relation to the 16 major providers of UK annuities, the following shows their Standard & Poor's rating. It may be that the highest annuity rate offered is from a provider with a lower Standard & Poor's rating and your employee must decide if they wish to proceed on that basis or select a possibly lower rate from a provider with greater financial strength. Before making a decision regarding a pension income, learn more about annuities, compare annuity rates and secure a personalised annuity quote offering guaranteed rates.